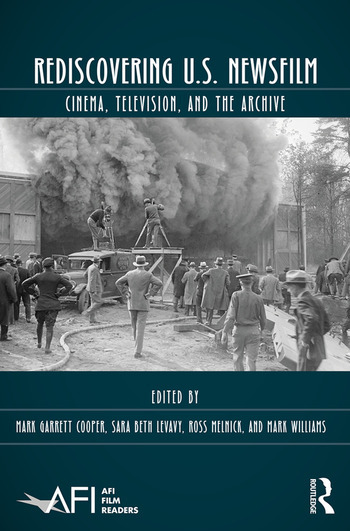 The twentieth century generated tens of thousands of hours of American newsfilm but not the scholarly apparatus necessary to analyze and contextualize them. Assembling new approaches to the study of U.S. newsfilm in cinema and television, this book makes a long overdue critical intervention in the field of film and media studies by addressing the format’s inherent intermediality; its mediation of "events" for local, national, and transnational communities; its distinctive archival legacies; and, consequently, its integral place in film and television studies more broadly. This collection brings fresh, contemporary methodologies and analysis to bear on a vast amount of material that has languished in relative obscurity for far too long. Mark Garrett Cooper is a Professor of Film and Media Studies at the University of South Carolina, USA. Sara Beth Levavy is a scholar of Film, Media, and Art History. Ross Melnick is an Associate Professor of Film and Media Studies at University of California, Santa Barbara, USA. Mark Williams is an Associate Professor of Film and Media Studies at Dartmouth College, USA.